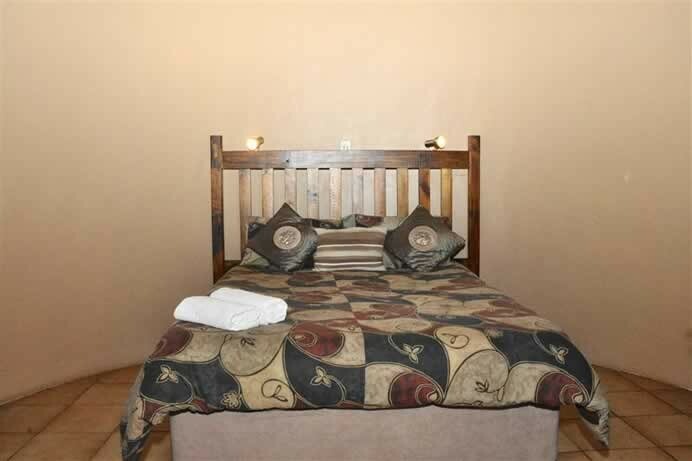 Van Zylsvlei B&B is situated 6km north of Colesberg on the right hand side of the N1 highway. 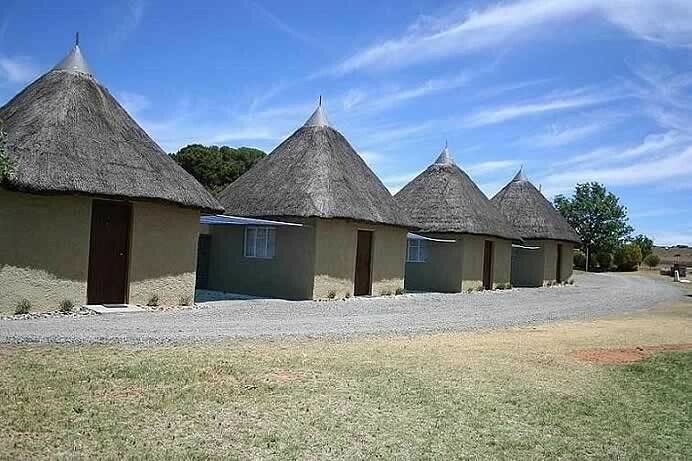 It is a small farm with very safe overnight accommodation and plenty of open spaces where the kids can enjoy themselves without the concern of parents. 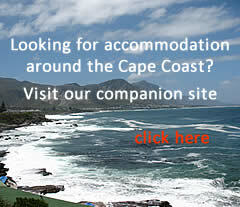 The bed & breakfast is located just outside of town, where no traffic will spoil the quiet and peaceful atmosphere. 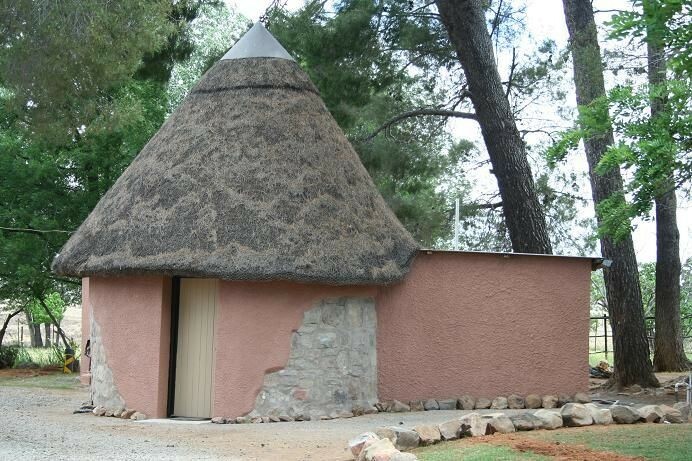 You can enjoy staying in a thatched rondawel or family rooms, which all have en-suite bathrooms. As new owners we are busy upgrading and renovating the premises, so we hope those of you who have been here before will appreciate the changes. Van Zylsvlei B&B also has 6 caravan stands with power points and lots of space if you would like to stay overnight in a tent. 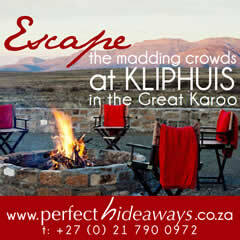 We serve breakfast as well as dinner in our lovely thatched dining room (the karoo lamb is a winner). Braai (barbecue) facilities are also available. During winter, our cosy fireplace is lit in the spacious lounge area. 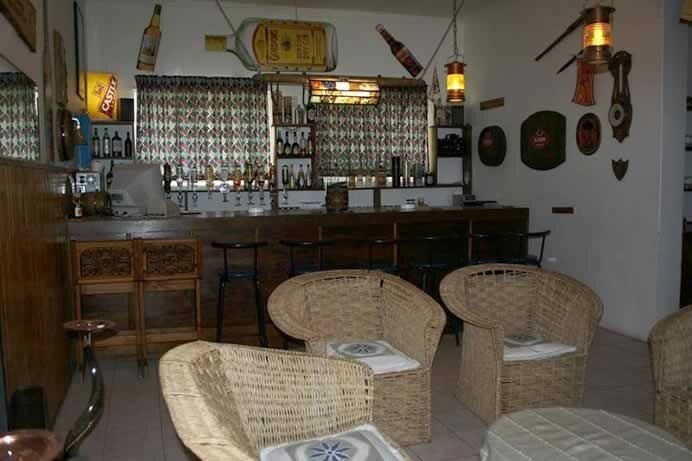 You can have a drink or relax in our popular bar or take a swim after a long drive. If you are interested in hunting, we are ideally situated for your perfect stay, where you can participate in hunting activities just opposite the road. 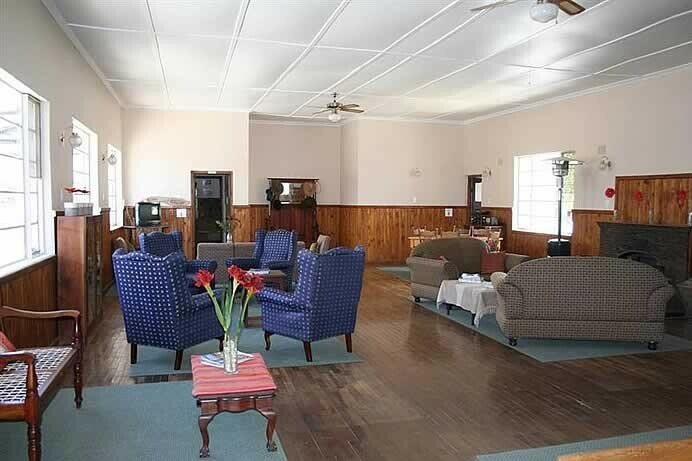 At Van Zylsvlei B&B you will be greeted with warm and friendly karoo hospitality and will enjoy a peaceful and quiet overnight stay. Your friendly hosts Deon and Annalie Dohne look forward to welcoming you! 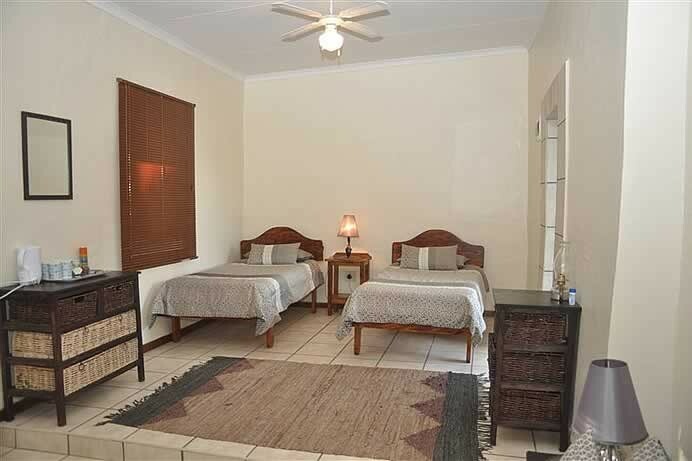 Travelling on the way to Colesberg, 8km before you reach the town, you will see the Van Zylsvlei B&B turn-off to the right. Drive for 5km on this good gravel road until you reach the tar road. At the tar road there will be a T-junction then turn left onto the R717. Keep travelling straight on for 1.5km, and the bed & breakfast is situated of the left hand side. This is also a tar road. Travel past the Engen garage and then the N1 splits into two. Take the left turn-off on to the R717 and cross over the stop street. Keep driving on for another 6km and you will see the bed & breakfast is situated on the right hand side.